Enlargement has been an almost constant part of European integration history – going from an improvised exercise to the EU’s most developed foreign policy tool. However, neither the longevity nor the complexity of enlargement has been properly historicised. European Enlargement across Rounds and Beyond Borders offers three interdisciplinary, innovative, and indeed radical, new ways of understanding and analysing EC/EU enlargements: first, tracing Longue Durée developments; second, investigating enlargement Beyond the Road to Membership; and third, exploring the Entangled Exchanges and synergies between the EC/EU and its outside. 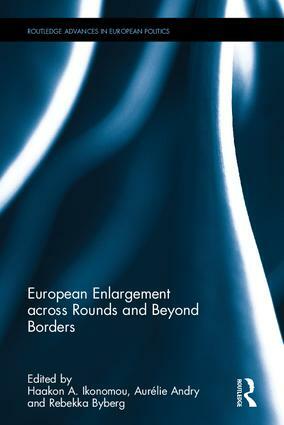 This edited volume will provide fresh perspectives on enlargement as one of the defining processes in Europe in the second half of the 20th century: How are we to understand enlargement as a policy? How has it changed the EU? What is the historical role of the British press in shaping the UK’s visions of Europe? How has enlargement played into Russia’s relationship with today’s EU? Giving answers to these questions, and many more, this volume wishes to spark a broad debate about the roots, range, and repercussions of enlargement, and how historians, and other scholars, should engage with it. This publication will be of key interest to scholars and students of modern European history and politics, the European integration process, EU studies, and more broadly multilateral international institutions, history, law and the social sciences. "The volume sets itself apart from the previous historiographical literature on EU / EU enlargement…" - Henning Türk, Rheinische Friedrich-Wilhelms-University Bonn. Book Review in: H-Soz-Kult, 11.03.2019. "Taken together, the 11 chapters of the book demonstrate how going beyond established chronologies and themes can fruitfully enhance our understanding of enlargement and feed into a research agenda for future studies. Arguably, the volume’s added value can be seen in building bridges to research (communities) outside the confines of EU history." - Brigitte Leucht, University of Portsmouth, UK, Book Review in European History Quarterly, 49(2), 324–326, 2019. Haakon A. Ikonomou is a postdoc at Aarhus University, Denmark, and holds a PhD in History from the European University Institute, Italy. Aurélie Andry is a PhD candidate in History at the European University Institute, Italy, and a Junior Lecturer at Paris-Sorbonne University, France. Rebekka Byberg is a PhD candidate in History and Junior Lecturer at the SAXO Institute of the University of Copenhagen, Denmark.